Remember those 2013 Colorado gun control bills and the subsequent recalls of Senators John Morse and Angela Giron? 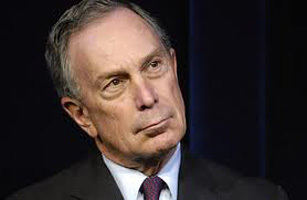 Michael Bloomberg played a big part in both the passage of those bills and in attempting to stop the recalls. Our friends at Complete Colorado have chronicled Bloomberg’s habit of butting in to Colorado politics over the years. Like the time in 2013 when Bloomberg was calling our own Governor Hickenlooper at critical dates during the debates over gun control bills, followed by the Governor’s “long, fawning letter” to Bloomberg. It was an honor —and great fun— to have participated in the campaign to recall the Senators, including my radio ad pointing out that Bloomberg’s $350,000 donation to stop the recalls really bugged voters. Why was a New York billionaire spending that kind of money in Colorado? It was the question we heard over and over when calling voters and knocking on their doors in the run-up to the recall election. Also, remember when Bloomberg said that Colorado Springs didn’t even have roads? And now Bloomberg is back. Although there is a split legislature in Colorado, Bloomberg has hired and deployed two lobbyists to try to kill the bills that would reclaim the Second Amendment freedoms we lost in 2013, in addition to two new bills that will keep Coloradans safer. Sherrie Peif from Complete Colorado covered the details in her recent article “Bloomberg money again playing role in Colorado gun-related issues”. Since Colorado has a divided legislature —the Republicans control the Senate and the Democrats control the House— why is Bloomberg spending money on killing good gun-rights bills? Shouldn’t the bills just die with the Speaker’s committee assignment? On February 8, three good gun-rights bills will be heard in the House Committee on State, Veterans and Military Affairs. I’m not sure anyone, including the bill sponsors, believes these bills will pass the majority Democrat committee. Those bills will be heard on February 8th at 1:30pm in House Committee Room 271. If you’re unfamiliar with the Colorado State Capital, Room 271 is on the 2nd floor, just between the elevators. Although we don’t think the bills will pass, should we still show up on February 8th? Absolutely. Our elected representatives need to hear from us. It’s not their job to make us less safe. They work for us. But back to Bloomberg. Why is he spending money in Colorado when the anti-gun forces in the House can effectively stop any bill they want? The answer lies in two bills that are so common sense that voters may overwhelmingly support them, and apply pressure on their State Representatives —including Democrats. The first bill is Senator Cooke’s and Representative Nordberg’s Senate Bill 6, “Concealed Carry For Military Under Twenty-one Years Of Age.” This bill would allow military members, aged 18, 19 and 20 to be eligible to apply for a concealed carry permit. In the age of the shootings at the Aurora Theater, Planned Parenthood in Colorado Springs, and in San Bernardino, ordinary Colorado citizens are concerned for their safety and the safety of their loved ones. We trust members of the military with the safety of our country. When we think about good guys with guns, members of the police and military come to mind, in addition to law-abiding concealed carry holders. Senate Bill 6 is one that makes sense even to people who are not very politically involved. It makes sense because of the dangers we face just going about our daily business. The second bill is Senator Holbert’s and Representative Neville’s Senate Bill 5, “Handgun Safety Training For School Employees.” This bill would allow school staff members who are trained by a County Sheriff, to be able to be armed first responders in their schools. Again, ordinary Colorado citizens see this as a very common sense bill. School staff members all across Colorado are already legally carrying concealed at work. Senate Bill 5 would add a training component as an additional exemption to the general ban on concealed carry on K-12 campuses. This makes sense to many people who have never spoken up in the gun-rights vs. gun-control debates. Separate from this bill, Coloradans for Civil Liberties, an organization I helped to co-found, is raising money to train school staff members to be armed and medically trained first responders at their school —at no cost to them, their school or their district. When I attended this training in Ohio, called FASTER training, I knew we needed this very advanced training here in Colorado. I wrote about it in my article Keeping Kids Safe in a Broken World. If you want to learn more about FASTER Colorado and to help us with our significant fundraising efforts, you can find more information here. This time it really is about the children! What voters know about school shootings is that they will happen again. Voters have kids and grandkids in schools. We all think about this. Having more, well-trained armed first-responders in our schools stops the carnage sooner. These are teachers, principals and janitors who would put their body between bullets and your kids. They just want a chance to survive to save the kids. Ordinary people sense that having someone who is already there on campus —armed— can stop the execution of children. Senate Bills 5 and 6 are likely the reason that Bloomberg’s forces are back in Colorado. These bills seem logical and practical —even to people who aren’t usually paying attention to what goes on in Denver. These are people concerned about the safety of their families. Senate Bills 5 and 6 have passed in the Senate and are moving over to the House. Stay tuned for updates on the progress of these two bills in the House. I will let you know who is on the committee once it’s assigned, and where we can call them and send them an email. Sign up for my newsletter and connect with me on social media for the most updated information. And by the way, just say no to Bloomberg. Colorado is doing just fine without him. 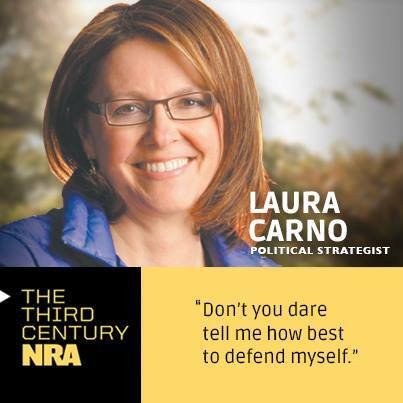 Thank you again for your work on this issue Laura. Your updates are most appreciated! Do we know who these lobbyists are? Thank you Laura for all your great work. People like you give me hope for what so often seems like a bleak future. The establishment news only hails all the femi-nazis. Good question above by Laura Benjamin.